The Bunn 12 Cup Pourover Coffee Machine is an elegant solution to your coffee and hot beverage needs at home or at the office. This quality hot beverage maker from Bunn utilizes contemporary technology to ensure you an excellent hot beverage experience every time. The Bunn VPR 12 Cup Pourover Coffee Brewer with 2 Warmers has all of the features that you would expect from such a high end hot beverage brewing device. 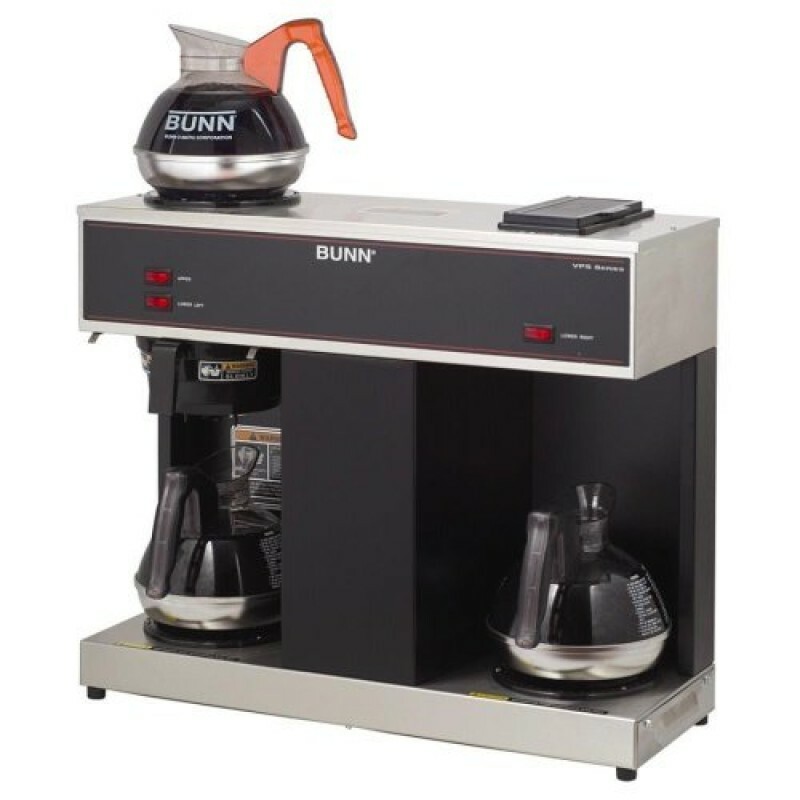 The Bunn 12 Cup Pourover Coffee Brewer with 2 Warmers brews 3.9 gallons of coffee per hour. Its stainless steel construction requires no plumbing and is completely portable. Just pour cold water in the top and coffee brews immediately. When you buy your hot beverage or coffee making devices from Coffee For Less, you get the reliable service and speedy shipping that you expect from Coffee For Less. Discount codes may not be applied to Hot Beverage Machines but will be applied to the remainder of your order.